The ongoing campaign, which will continue through November 2018, aims to position Hong Kong as the perfect destination for year-end celebratory family get-togethers and travel with friends. 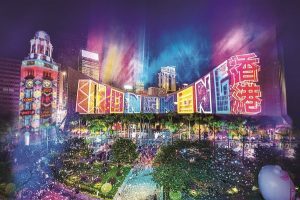 “Filipino, Indonesian, and Malaysian travellers can’t seem to get enough of the big city flavour, mixed with old world charm, that Hong Kong offers. Our concerted efforts, over the past year, have been to popularise unique and hidden aspects of the cosmopolitan city. This has resulted in a significant boost in search volumes for Hong Kong, on the Wego app and website,” said Craig Hewett, co-founder of Wego. Featuring an array of digital direct promotional activities, the integrated marketing campaign, encourages travellers to make the best of the cosmopolitan city’s pleasant weather, this winter. The marketing mix will also include organic promotions, in the form of content marketing activities, videos, social media contests and influencer outreach programs.